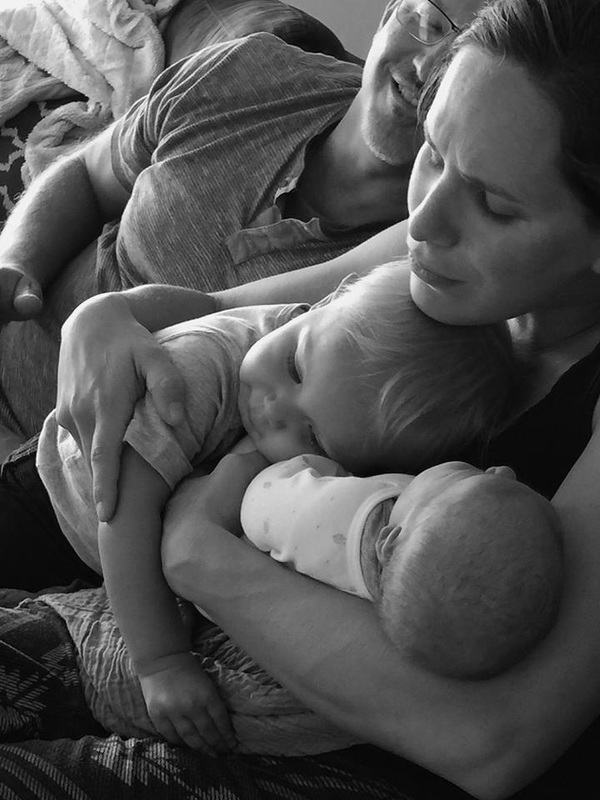 My partner Joel and I hired Carrie as our doula for the birth of our second child. With my first baby, I took Carrie’s pregnancy yoga, and had a natural water birth, but we felt we were not well supported by our birth staff before, during or after the birth. Although nothing ‘went wrong’, I was left feeling exhausted, overwhelmed and alone. We had a really rough start, and I wanted better for our second baby. The principals and deep breathing techniques Carrie teaches in her yoga classes (pre and post natal) really helped me to get through those tough times with my first baby, so using her as a doula this time around was an easy choice to make. Her guided meditations and breathing exercises kept me calm and confident in the weeks leading up to the birth. She was always available to answer questions, and keep my mind positive in that crucial time. When I went into labour, I was so calm we barely made it to the hospital in time. Carrie’s soothing voice kept me focused during the pushing phase and when my baby girl was born, I was ecstatic, not exhausted. The first days and weeks of her life were pure bliss, as we had experienced the beautiful hormone-led birth I knew was possible. ​Every mother deserves to experience this and it is possible with the right birth support! I am so thankful to Carrie for helping me to have my dream birth, and would recommend her to any expectant mother.